Strolling through the stores these days, I’m starting to see wreaths hung on the doors, candy canes decorating the walls and evergreen trees festively decorated with lights. That means a very special holiday is right around the corner . . . Thanksgiving. And this drives me nuts — why can’t folks lay off the Christmas decorations until after Thanksgiving? There’s an entire month after Thanksgiving to start with the Christmas celebrations. Give Thanksgiving some room to be the totally awesome, turkey-fest that it is. 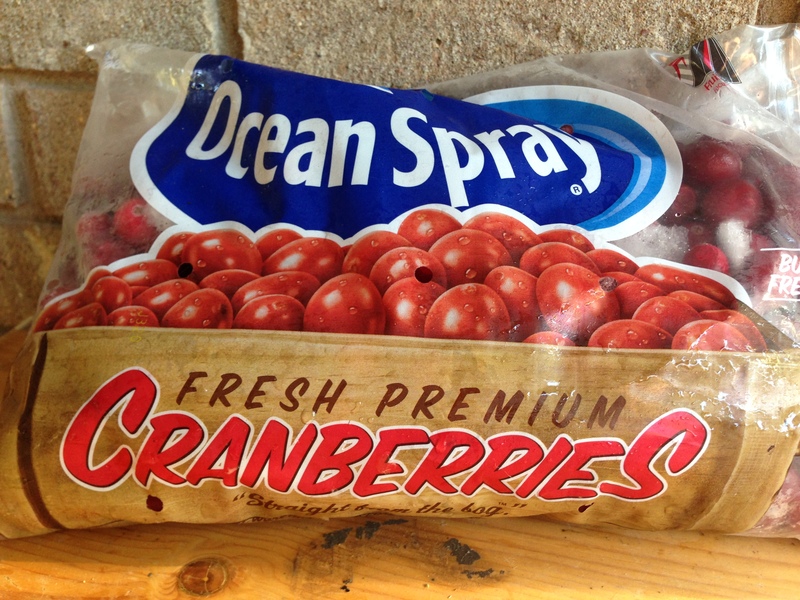 Cranberries provide a tart contrast to all the savory dishes at a Thanksgiving dinner. Also, try my smoked turkey recipe. This is cranberry beer that I (try to) brew every year for Thanksgiving. The beer is very easy to brew, and is a big hit with friends and family. The base is a honey wheat beer. I usually use orange blossom honey, but that can get expensive so use whatever honey you like. The beer is flavored with cranberry relish — cranberries, Granny Smith apples and Navel oranges (zest, rind, pulp and all). The beer is fairly dry and somewhat tart due to the cranberries. The orange pulp lends some bitterness and the cranberry skins give the beer a dose of astringency that keeps the beer from seeming like alcoholic fruit punch. Put two 1.0-gallon jugs of water in your refrigerator the night before brewday. Fill brewpot with 2.5 gallons of water, stir in malt extract and bring to a boil. Add hops and boil for 30 minutes. Do not let boil volume dip below 2.0 gallons. Add yeast nutrients with 15 minutes left in the boil. Stir in honey at knockout. Let sit for 5 minutes (at 170 °F or above), then cool wort to around 110 °F. Add chilled water to fermenter and siphon beer into it. (Do not pour hot wort through a strainer.) Top up with cool water to yield 5.0 gallons of wort at 65–68 °F. Aerate well and pitch yeast. (Just sprinkle yeast on top of wort.) Ferment at 68–70 °F. When fermentation is complete, make cranberry relish. 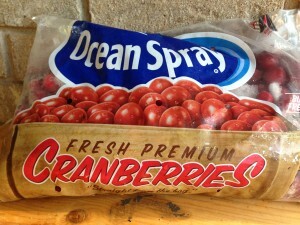 Do this by rinsing the fruit in water, then combining cranberries, apples (minus the cores) and whole oranges (rind and all) in a food processor. Blend to the consistency of cranberry relish, Place fruit in sanitized bucket fermenter and rack beer onto it. (You can put the fruit in a nylon steping bag to keep it contained.) Add pectic enzyme. Let fruit contact the beer for 7–10 days, then rack beer to bottles or keg. Carbonate to 2.8 volumes of CO2. Put two 4-L jugs of water in your refrigerator the night before brewday. Fill brewpot with 9.5 L of water, stir in malt extract and bring to a boil. Add hops and boil for 30 minutes. Do not let boil volume dip below 7.6 L. Add yeast nutrients with 15 minutes left in the boil. Stir in honey at knockout. Let sit for 5 minutes (at 77 °C or above), then cool wort to around 43 °C. Add chilled water to fermenter and siphon beer into it. (Do not pour hot wort through a strainer.) Top up with cool water to yield 19 L of wort at 18–20 °C. Aerate well and pitch yeast. (Just sprinkle yeast on top of wort.) Ferment at 20–21 °C. When fermentation is complete, make “cranberry relish.” Do this by rinsing the fruit in water, then combining cranberries, apples (minus the cores) and whole oranges (rind and all) in a food processor. Blend to the consistency of cranberry relish, Place fruit in sanitized bucket fermenter and rack beer onto it. (You can put the fruit in a nylon steping bag to keep it contained.) Add pectic enzyme. Let fruit contact the beer for 7–10 days, then rack beer to bottles or keg. Carbonate to 2.8 volumes of CO2. If you enjoy Beer & Wine Journal, please consider supporting us by purchasing my book — “Home Brew Recipe Bible,” by Chris Colby (2016, Page Street Publishing). It is available from Amazon and Barnes & Noble. You can also find the nearest independent bookstore that sells it on Indiebound. Chris, what would be the all-grain version? Did you use just wheat malt, or flaked wheat? This recipe sounds like one I want to serve this year! Any wheat beer base would work, really. I’ve brewed batches with 50:50 mixes of 2-row barley and wheat malt and 30:70 mixes of Pilsner malt and wheat malt. Anywhere between 11 °Plato and 13 °Plato (SG 1.044–1.052) should be fine. If you dip too far below 2.0 lbs of honey, it gets harder to detect. Have fun brewing this. And let me know how it turns out. Does the fruit only add 0.001 gravity points? Chris, Just made your Cranberry Zinger. It’s great!. Thank you. BTW these guys may have been inspired by your recipe. Cheers! Yeast question if you read this in time. I brewed the all-grain version last fall with my buddy and it turned out phenomenal. Received a kit of my own and will be doing another batch on my own this time but using the extract version to keep it simpler. The store I went to for supplies only had one sachet of the US-05 yeast and instead sold me two sachets of WB-06 dry wheat beer yeast. I don’t doubt that it will do the job but any insight into why you chose a dry ale yeast originally and any change I’ll notice in flavor/body? Glad your first batch turned out great. I chose the dried yeast for simplicity (no need to make a yeast starter) and pitched two sachets because I wanted a quick, very clean fermentation. The WB-06 will give you some clove and banana flavors as it’s a German wheat beer yeast. That’s not necessarily a bad thing as this base beer is an American wheat and it’s blended with fruit. So, a little banana added to the mix likely won’t be a bad thing. Plus, if you pitch both sachets, your pitching rate will be high and the overall here-weizen character will be muted a bit. I’m using your fruit method here on a gose I brewed 10 days ago. I transferred to a bucket with the fruit in a paint strainer, which prevents a tight seal. It is then in a cooler out in the closed and sealed utility she’d. It just occurred to me that flies could get to it if I wait a full week. Any recommendations? Been brewing 4 years about every other week on average and no fly problems. But I have used carboys till this project. (I know this is too late, but) I would try to get the bucket to seal or put some duct tape over any gap large enough for a fruit fly to get in. Hope it turned out good. A cranberry gose sounds interesting.